Finding a venue at the Edinburgh Festival is akin to speed dating. A mad rush of flirting and bartering at the turn of the year, followed by a flurry of deadlines, instalment payments and marketing copy. We agreed to present Stand By at Army@The Fringe in the heat of this activity, and continue to be excited about presenting new work in a new venue as part of the Summerhall programme. We welcome the discussions that come from presenting a play about the police in the context of a venue operated by the army. 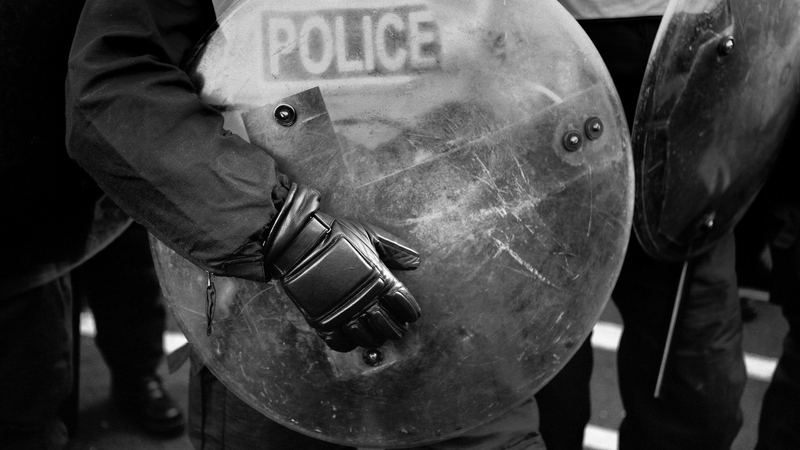 The increasing militarisation of the police is an important issue that has come sharply into focus in recent months. We are aiming to create an immersive production with our use of single earpieces and believe the choice of venue will add to that immersive experience, provoking further debate. We have no reason to believe, at the moment, that we have been co-opted into a British Army recruitment campaign. Our participation at the venue is in no way intended as an endorsement of the British Army. We have taken the intention of Army@The Fringe to question “what the Army is and what it stands for in 21st Century society”, and hope that our work will form a part of that debate. We welcome greater openness and discussion on institutions that are often closed to outsiders, such as the army and the police. These institutions are in positions of power and must be accountable to the people. Greater understanding of their workings is necessary and this can be achieved through truthful storytelling, which is what we aspire to as artists. Stand By is a brand new drama, written by former Police Officer Adam McNamara. It will open at Army@The Fringe from 11 – 26 August, as part of the Summerhall and Made in Scotland programme. It will embark on a theatre venue tour around Scotland from 31 August and throughout September, and we hope to see you there!